Safety in winter - safety is rarely an everyday issue, but they should be: accidental injuries are one of the leading health problems in Switzerland. Let’s think trough the question: what does winter have to do with accidents? “It won’t happen to me” is not an attitude to take. It could. Moreover, as parents, no matter the age of our children, we should not only be aware of our own actions, but we should also ensure our children are well supervised. First thing to do is think ahead and be prepared! This means predict what can happen and what to do in case an accident happens. Accidents often occur at this time of year: days are shorter so there are longer evenings and the holidays are approaching and need to be planned/finalised. There are Christmas trees to decorate, meals to prepare, presents to buy quickly. There are also candles, open fires and fireplaces! Nevermind the fact that adults often consume more alcohol and living in Switzerland we also head out to unfamiliar ski slopes and ice rinks. So what are the risks around us we should be aware of this time of the year? 300,000 people are injured each year by falling. Fall risk is particularly high in winter. Take your time! The urgency and stress reduce the perception and concentration. Wear shoes with soles that have good traction on packed snow or ice. Put on ice grips over your jogging or running shoes when jogging in winter. Cycling in dark afternoons or walking to school early mornings the reflective or neon dresses provide extra visibility and safety. The dresses with other “light elements” can be combined – lamps on the bike or reflective velcro straps on the bags, on the arms and legs. Don’t forget changing car tires from summer to winter! Always have a tire chain or Autosock in your car in case of icy roads. Snow blindness is a painful eye condition caused by too much exposure to the sun’s UV rays. It is a real risk at the snow. It can affect anyone who enjoys snowy outdoor activities such as hiking, sledging or skiing. Fresh snow is a particularly good reflector and almost doubles a person’s UV exposure. On top of this, as snow is usually encountered at higher altitude the atmosphere is thinner and absorbs less UV radiation. Always wear sunglasses and protect also the babies’ and children’s sensitive eyes from harmful ultraviolet rays. Christmas time is the time of the candles and so, unfortunately, the time in which the most fire accidents occur. In Switzerland around 1000 Christmas trees and Advent wreath burn every year during these days. If a tree or a wreath catch fire, they burn brightly within seconds. Candles should be blown when people leave the room. In addition, make sure that candles are replaced on Advent wreaths and Christmas trees before they burn down too deep. Fire blankets can be a big help extinguishing starting fires in the kitchen. Always put a a bucket of water or a fire extinguisher next to the tree and the wreath. You can put out a fire in initial stage within a few seconds, but without it the whole house could burn down in minutes. 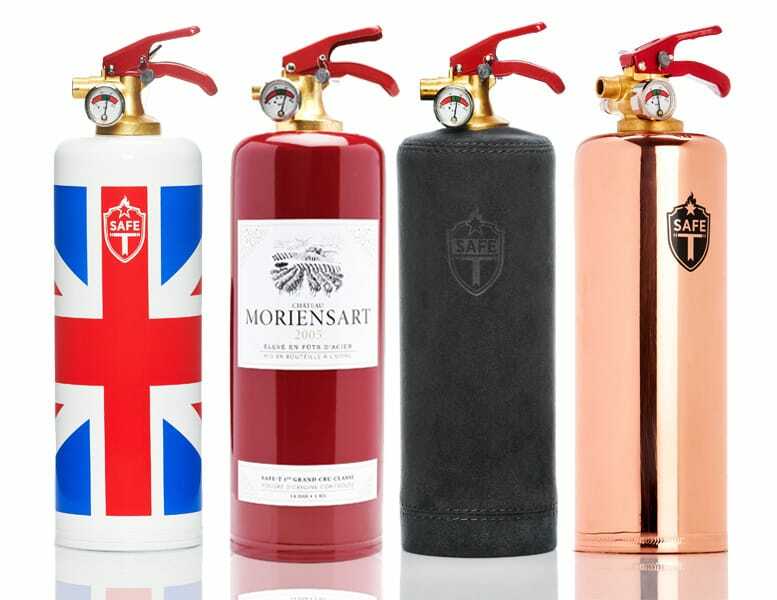 But beware: anyone who tries to extinguish a fire himself, risks smoke and gas poisonings and injuries. In case of fire alert the fire department immediately – number 118 and bring all the inhabitants of the house to safety. Fire safety should also be discussed with children. 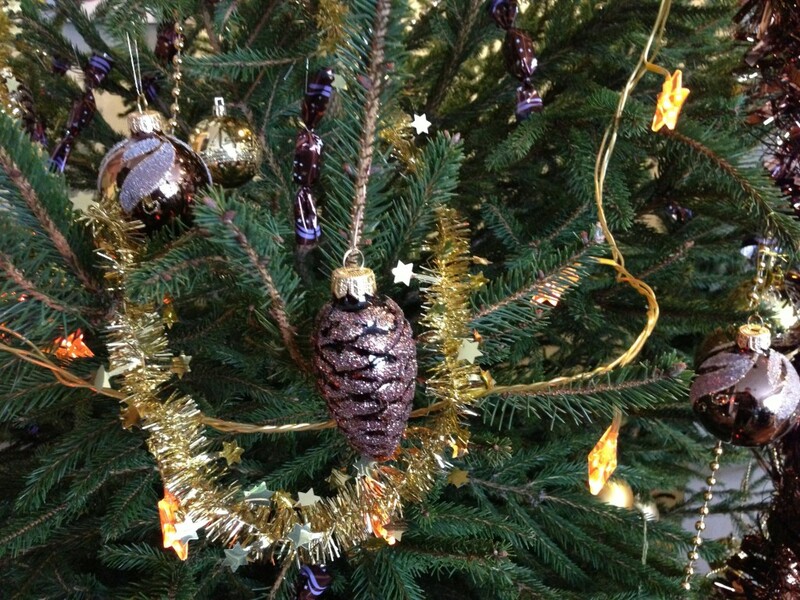 Christmas tree balls are made of a very special glass or – more recently – made of plastic . Broken parts are not included in the trashcan, but should be sorted out separately. Glitter , snow or gold sprays are not “green products”. For “snow” on the tree it is better to use cotton wool spots. Artificial snow from a can contains solvents and propellants that cause health risks and also highly flammable. The empty cans as special waste . Thin gold jewelry ribbons, so-called fairy or angel hair, often made of glass wool. Therefore when it get into the skin and especially the eyes, can lead to dangerous injury. Poinsettia or Christmas Star: this decorative plant comes in the weeks before Christmas in many home. Parents of young children should but be careful because its juice is toxic and can irritate the skin. After a Christmas or New Year’s Eve party is a great temptation to postpone the cleanup the next morning. The following morning, children are often the first to awake in the apartment while the parents are still asleep. The battlefield of the previous evening is particularly interesting. However, if an infant is served at half-full glasses of champagne and wine remains, it can quickly lead to serious poisoning. Infants are much more sensitive to alcohol than adults. After this list of risks what can we wish for ourselves for Christmas and holiday time? You should not be panicked or fear of everyday dangers. But be prepared. It is always more sensible to be aware than to suffer from the possible consequences. If you plan ahead what to do to prevent accidents or react in case it happens and teach it to your children, too – you could feel more relaxed in this time of the year.